Most Americans get 70% of their calories from simple carbohydrates and 35% of the population are considered obese! This causes an array of health issues that can be corrected and/or reversed with proper diet and natural supplements. 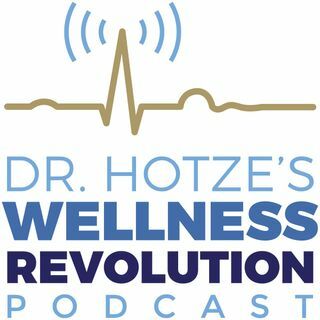 Join Dr. Hotze and patient Adam Stacoviak on this week’s podcast, as Adam walks us through his journey from being overweight and exhausted to now having the energy to match his professional drive and meet the challenges of everyday life! Adam came to the Hotze ... See More Health and Wellness Center 4 months ago with high cholesterol, extremely low thyroid and testosterone levels, and overweight. Listen to learn how Dr. Ellsworth is helping him get his life back! !